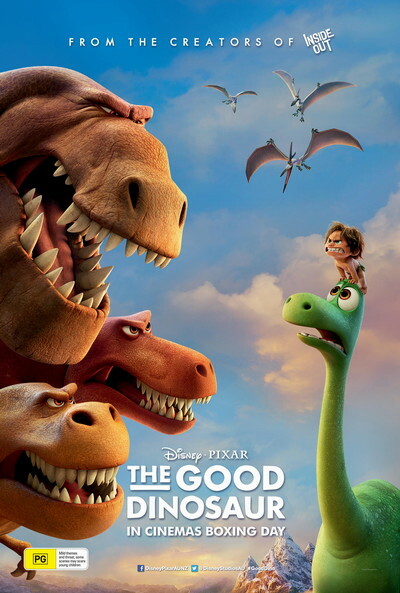 Story: "The Good Dinosaur" asks the question: What if the asteroid that forever changed life on Earth missed the planet completely and giant dinosaurs never became extinct? In this epic journey into the world of dinosaurs, an Apatosaurus named Arlo makes an unlikely human friend. While traveling through a harsh and mysterious landscape, Arlo learns the power of confronting his fears and discovers what he is truly capable of.